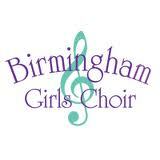 The Birmingham Girls' Choir provides an excellent opportunity for talented young musicians, grades 1 - high school, to make new friends, learn more about music, and enjoy performing with other singers from across the metropolitan area. Girls grades 1-12 are invited to visit our rehearsals on August 10, 17 and 24, 5:30 pm, at Edgewood Presbyterian Church which is located at 850 Oxmoor Road, Homewood, 35209. You will be welcome to observe and participate in rehearsal and we will gladly audition interested singers following each rehearsal. BCC has enjoyed wonderful experiences over the past several years, including performing for "Lights Up at the Summit", Vulcan's 100th Birthday Party, Opera Birmingham productions, ASO "Snowman", City Stages, as well as our two annual performances. BCC has also participated in service opportunities such as serving a meal at "First Light" and visiting Fair Haven. .Please join us on the Alabama Homeschooling Facebook Page!! !